One of my most frequently used products is scrub. I just love scrubs be it face scrub or body scrub. They are so effective in removing dead cells and giving a fresh lively feeling. I have experimented a lot in case of scrubs and during this case of experimentation I came through this scrub. 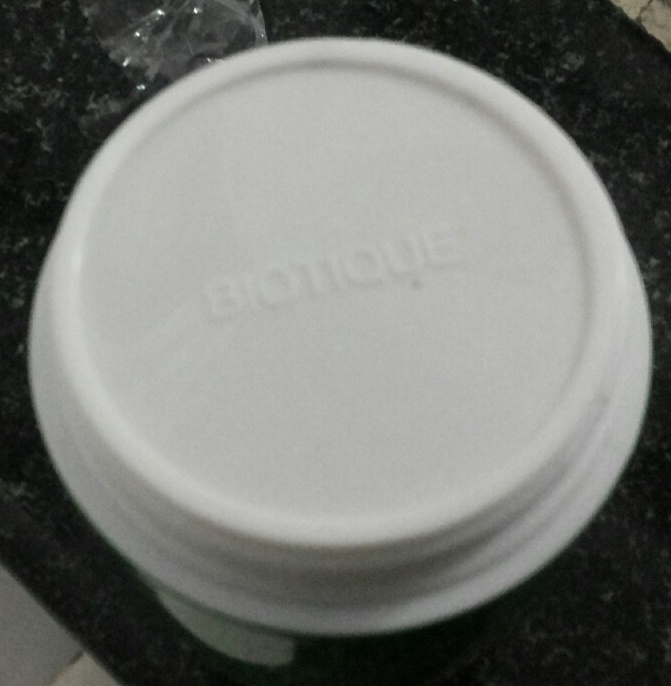 This is my first product from BIOTIQUE. ABOUT:This exfoliating scrub is blended with pure papaya fruit to dissolve dead surface cells, unclog pore openings and smooth the way for clear skin to surface. Gentle refining action uncovers skin’s natural brightness for a younger-looking complexion. 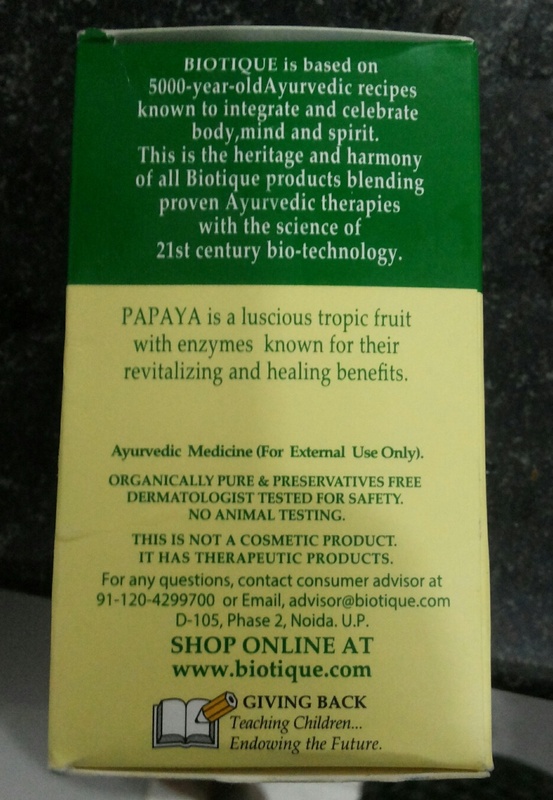 PRICE: Rs.199 for 8 Grams. MY VIEWS:The product comes in a green tub like packaging. The size is medium and quite perfect for travel. When opened it is again covered with a flip flop which prevents product spillage. 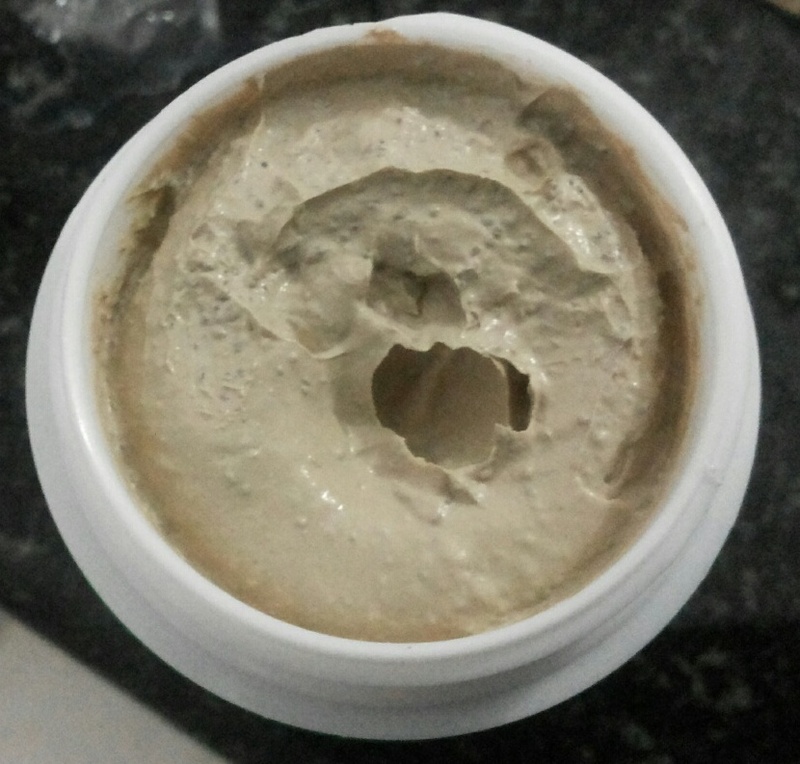 The consistency of the product is thick and creamy with evenly distributed brown granules. The scrub when applied on face feels little hard but nothing which can’t be tolerated. 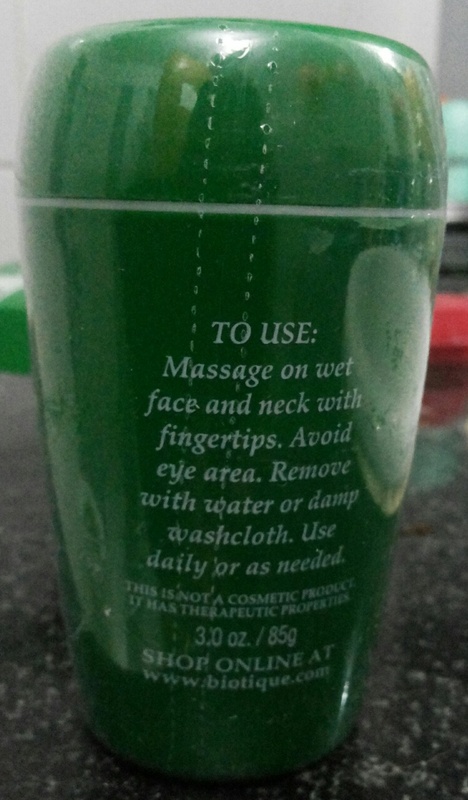 But I feel it is safe to avoid for sensitive skin. The product works in 2 ways – as a regular scrub, as a face pack. The scrub needs to dilute with water. 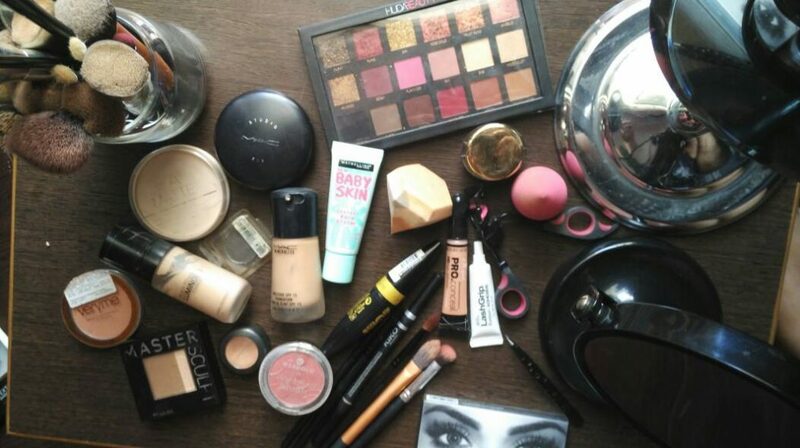 When diluted it gives an even base which can be easily spread on face. After it is spread on face you can sense the granules. Finally, rub it with your hands and rinse with water. You are bound to get a bright clear face. Now, when the product is left for a little longer on face it works quite effectively as face pack. The results are same. With regular usage the face glows and looks bright and much more even. Daily use also prevents tan in longer run. The product says it is suitable for all skin types. But I believe sensitive beauties should maintain distance from this. 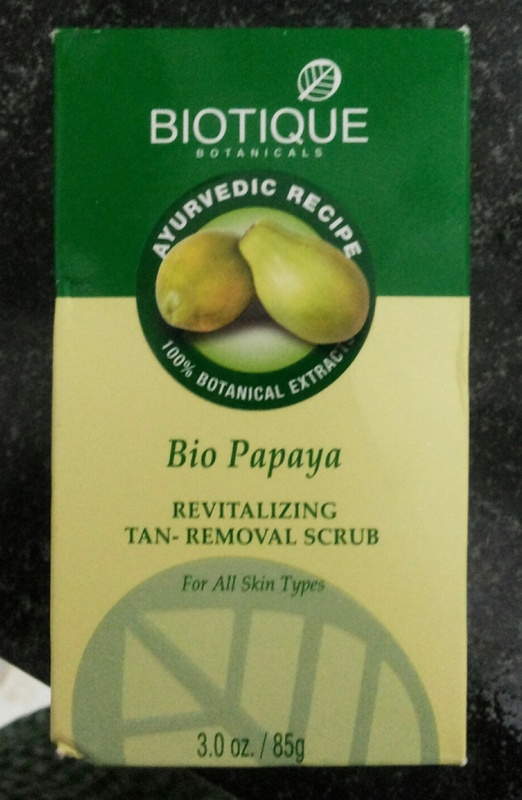 RECOMMENDATION: it is a good scrub with impressive ingredient list but not suitable for sensitive skin. But the bonus of this scrub is it gives bright and clean skin.